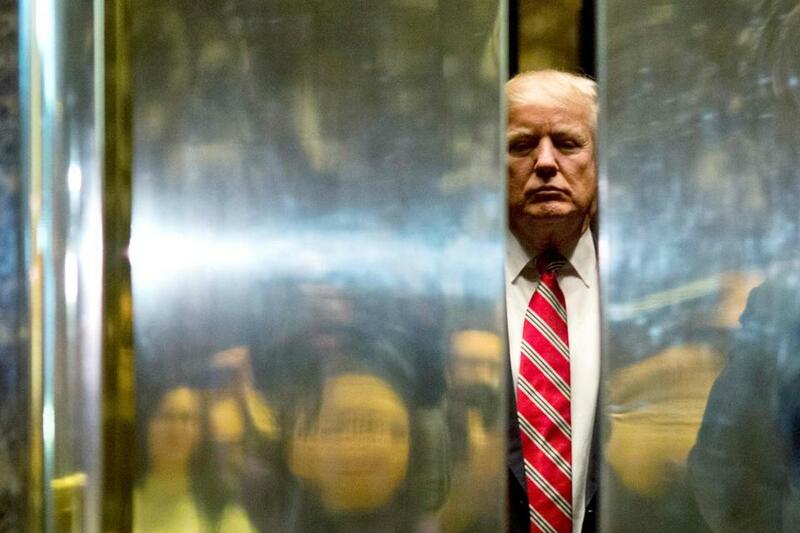 President-elect Donald Trump boarded an elevator at Trump Tower Monday. Donald Trump will be inaugurated on Friday, but he’ll consider his first day on the job to be Monday. The detail emerged after he sat down with British and German journalists over the weekend and offered up his thoughts on a wide range of topics. “I mean my day one is gonna be Monday because I don’t want to be signing and get it mixed up with lots of celebration,” he said. The Times of London published the interview on its website Sunday, and CBS News posted part of the interview online. Trump repeated past criticism of the military alliance, saying this time that it’s “obsolete” and reiterating that the US is paying more than it should. “With that being said, NATO is very important to me.” Only five countries are paying into the alliance what they should, Trump said. He added that Europe can still expect to be protected by the US. “We had a chance to do something when we had the line in the sand and it wasn’t — nothing happened,” Trump said. Trump said he would keep his handle, @realDonaldTrump, and not use the official presidential handle, @POTUS. Trump currently has 20.1 million Twitter followers; the official presidential Twitter account has 13.5 million followers. Trump again said that he would advocate for strong borders. “I won the election because of strong borders and trade.” He said there would be more vetting of foreigners “from various parts of the world that have lots of terrorism problems” who want to enter the US.